The exact extent of the cuts is unclear at present. The arms-length organisation, which runs many of the city’s most popular attractions, says it needs to analyse a range of “savings and investment” options before taking any decision. Other possible measures include increasing prices and memberships of its centres. The body recently hosted the annual Dundee Sports Awards at the Caird Hall which recognise the city’s most successful sports clubs and individuals. A L&C Dundee spokesperson confirmed its finance committee met this week to try to trash out a plan, adding: “Management now intend to discuss recommendations made with staff in the first instance. Dundee Labour group leader, councillor Kevin Keenan, said he was surprised to hear the organisation was seeking to make cuts, since he believed funding from the agreed budget would be “adequate”. 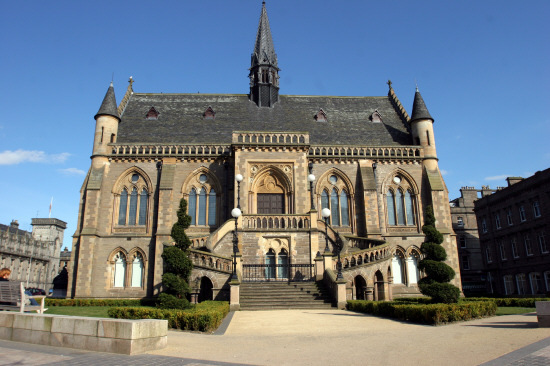 He said: “During the budget meeting, we heard from the managing director of L&C Dundee about the negative effects the Lib Dem’s proposal would have had on the organisation, quoting ‘closure of libraries in every community’. “I am surprised that L&C Dundee Board are planning, or have to, make cuts given the briefing the Labour group received. Council leader, councillor John Alexander, said: “Every council in the entire UK is dealing with the negative consequences of the Tory’s fixation on austerity. “Unfortunately, that also means that the partners that the council works with are facing similar challenges as we try to deliver the same amount of services from a pressured budget. “We have and will continue to work with Leisure & Culture Dundee to support its activates, it is a jewel in the crown of the city. “As one example, within the last 6 months we included over £5 million of new capital investment for Leisure and Culture to expand its operations and increase its income generation. L&C Dundee’s budget will follow on from the March 13 discussion but will not be approved by the board until March 27 at the very earliest.